Words are not sufficient enough to depict my love for Idiyappam. I love this dish in any form, whether it spicy or sweet. From the basic idiayappm aka sevai, you can bring out many recipes like lemon, coconut, beetroot, tomato and many other sevai varieties. Or else, you can simply eat plain idiyappam with pickle or sweet puli kaichal. My choice would be eating it with pickle which I love most of the time after tasting it with sugar and coconut. And I do prepare coconut sevai if I am left with no other ingredients other than grated coconut. 1) Prepare idiyappam and cool it. Once cooled, separate it roughly using your fingers. 2) In a pan, heat oil. When it is hot, add mustard seeds and allow it splutter. 3) Add channa dal and roast it till it turns golden brown. 4) Add curry leaves, green chillies and asafoetida. Saute for few seconds. 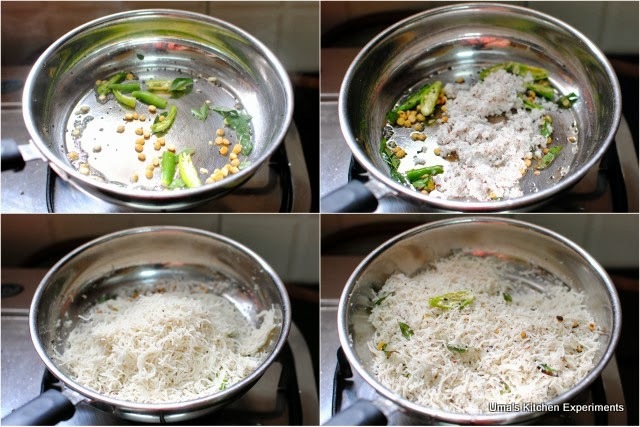 5) Add grated coconut and mix well. Add salt to taste. Saute it for few minutes. 6) Reduce the flame and add the idiyappam. Mix it well. 1) You can also use instant rice vermicelli for making this sevai. If you are using vermicelli, then please cook the rice vermicelli as per the instructions given on the pack. 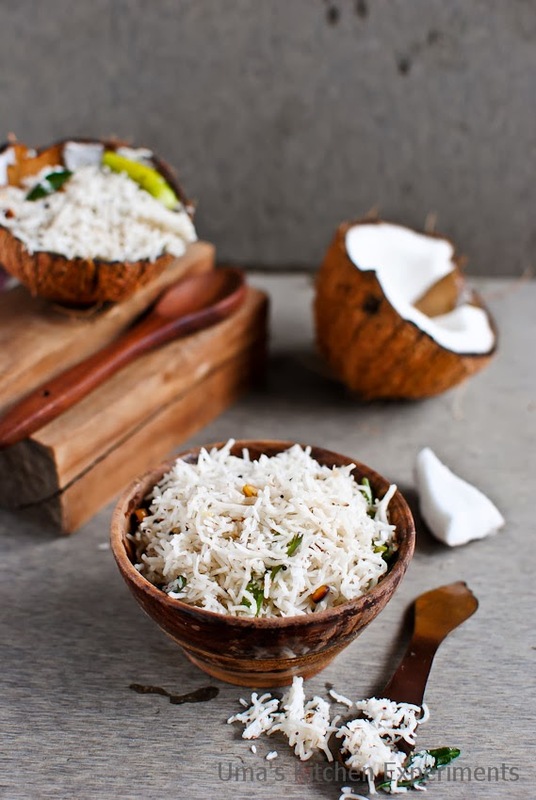 2) Fried cashews or peanuts can be used for this coconut sevai. 3) Fresh grated coconut tastes good for this type of sevai. 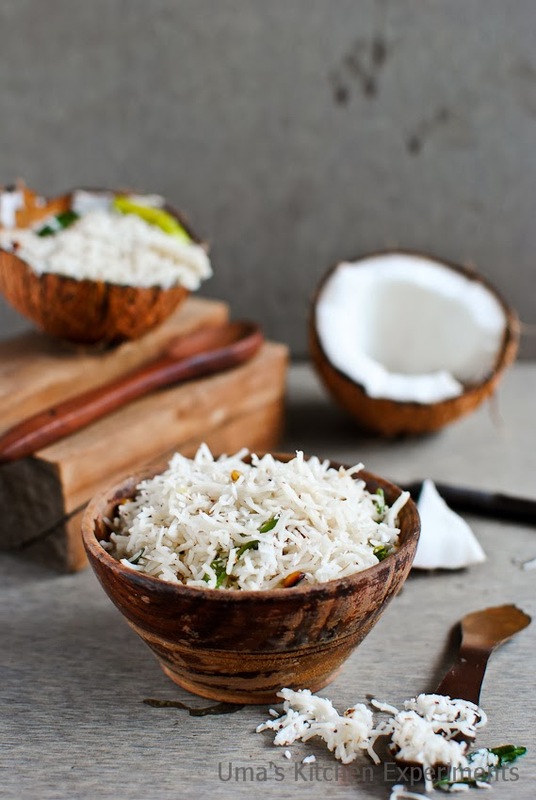 love coconut sevai/rice, very flavorful and delicious idiyappam...super inviting pics Uma! 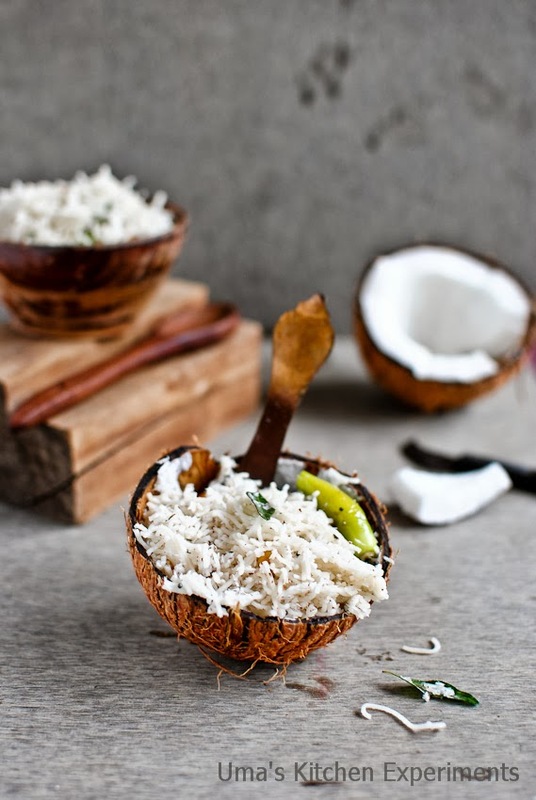 Delicious coconut sevai,I can't get enough any coconut always. 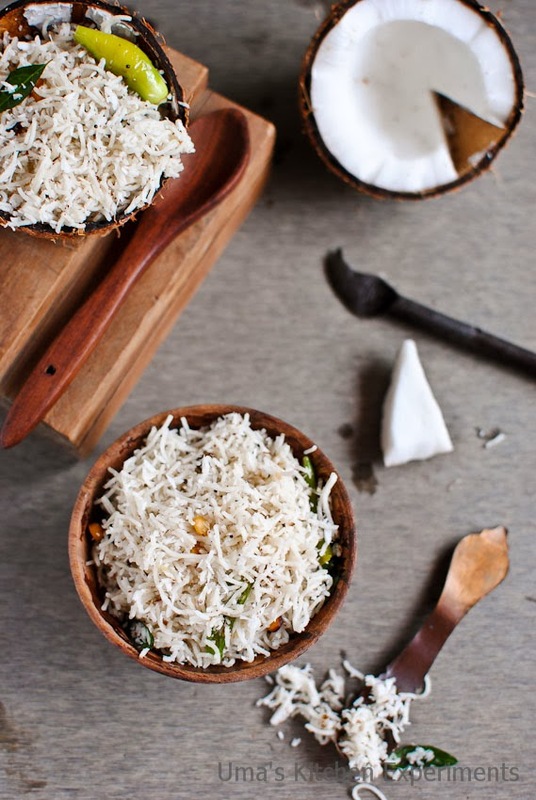 Coconut Idiyappam looks flavorful ! Awesome pics of coconut idiappam. Wonderfully prepared. completely loved it ! we add little pepper powder ! liked all your clicks uma :) i always like sweet version.. Very elegant presentation, either its sweet or savoury i love anything with sevai. I love sevai in any form - plain, with sugar. with seasoning, with tamarind, coconut, lemon - wow even I am surprised. Lovely clicks.